These paintings do not depict mythological characters or images of deities, but depict social life. Images of human beings and animals, along with scenes from daily life are created in a loose rhythmic pattern. Painted white on red mud color, they are pretty close to pre-historic cave paintings in execution and usually depict scenes of human figures engaged in activities like hunting, dancing, sowing ,harvesting, going out, drawing water from well, drying clothes or even dancing. 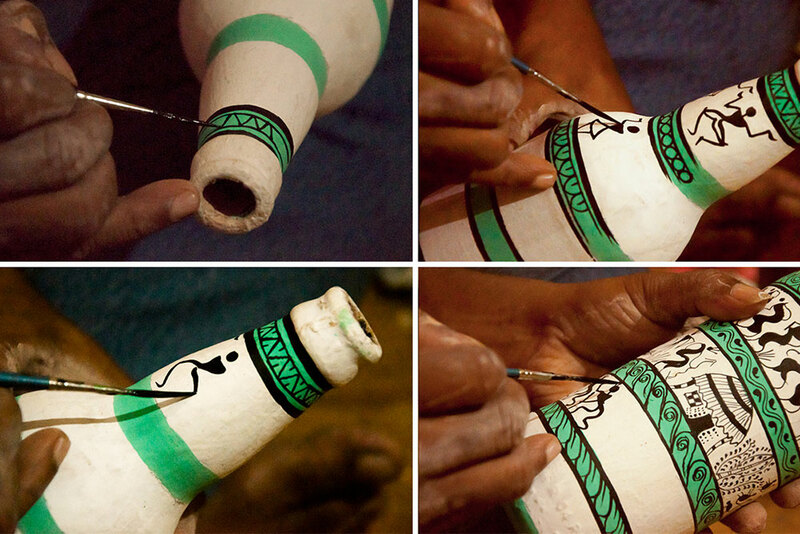 Warli Earthen Pot Painting/ Flower Vase Painting or bottle painting are one of the very simple art performed and are followed by the artisans of Raghurajpur. 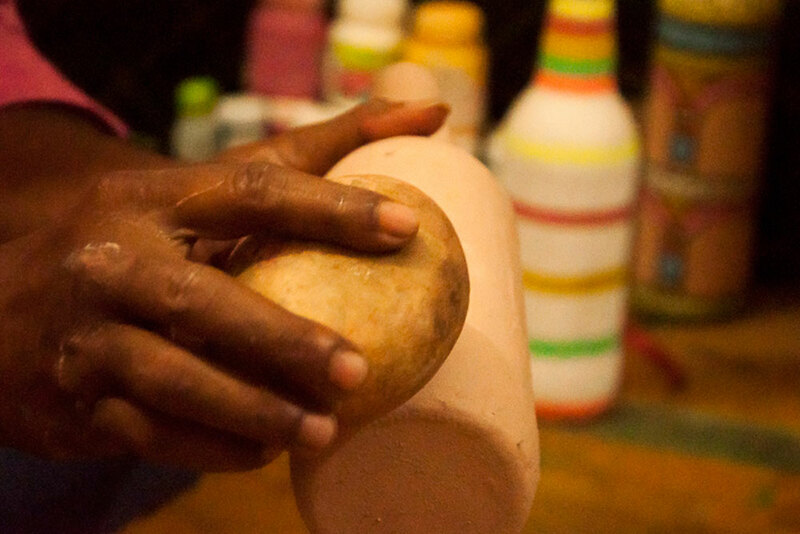 A plain Flower Vase or an empty bottle is bought in use (bottles are been washed cleanly and check if any dust particles exist) for this art to be performed upon, smooth surface turns to rough surface with the help of sandpaper. 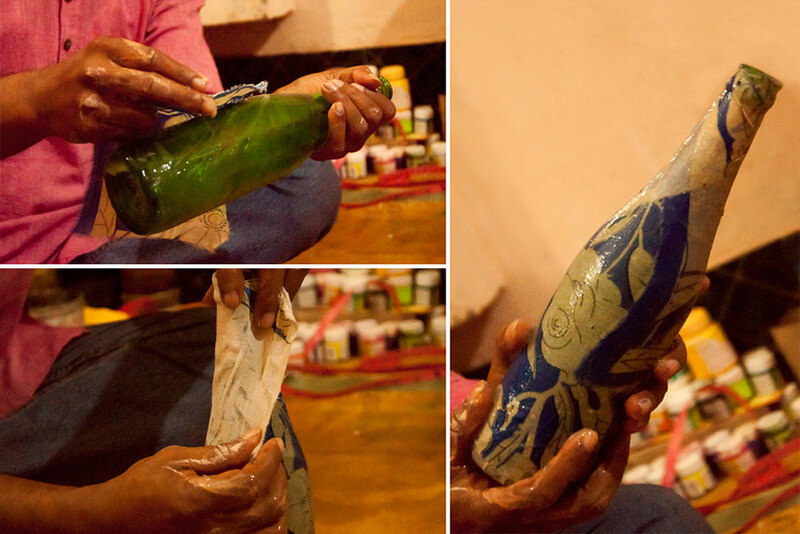 Cloth is applied on the bottle with the help of homemade glue which in turn, creates canvas base. 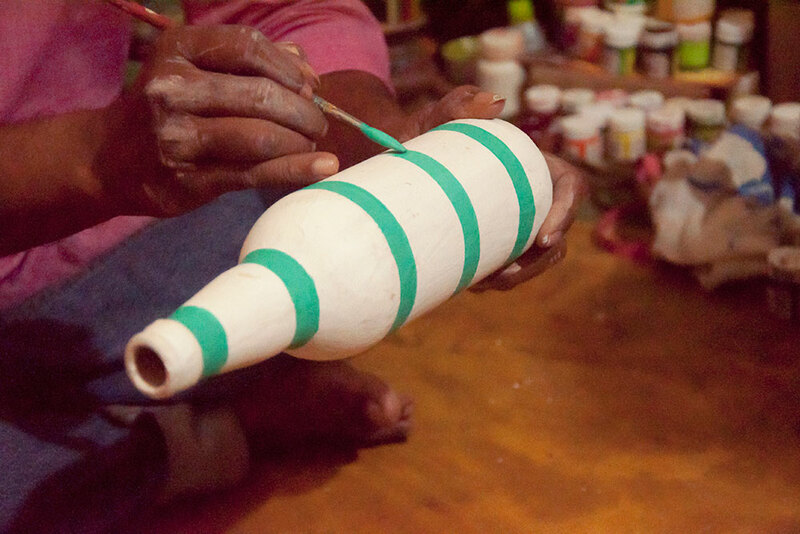 Bottle is painted with the help of white base cote, it’s left for drying under the sun for about an hour. 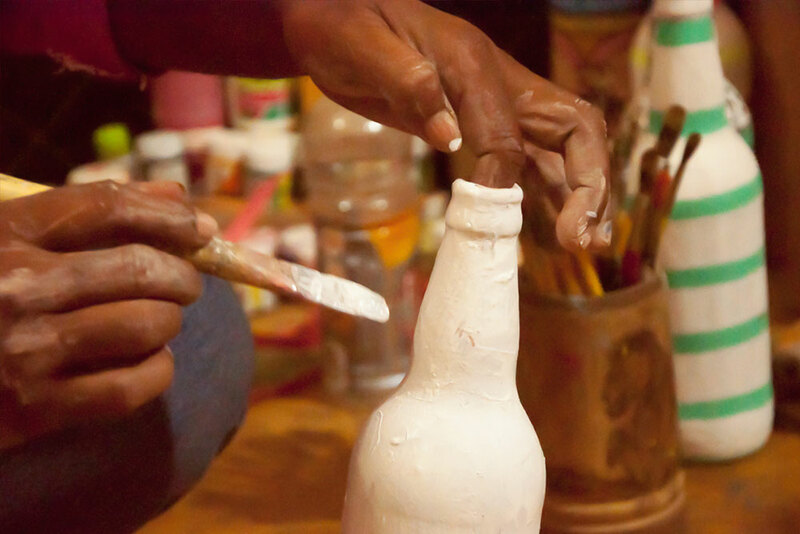 Brown or white paint is applied as background over its surface with a thick paint brush. Choosing a design from either mind or from the customer’s order, artesian starts creating a rough line drawing with the help of pencil. 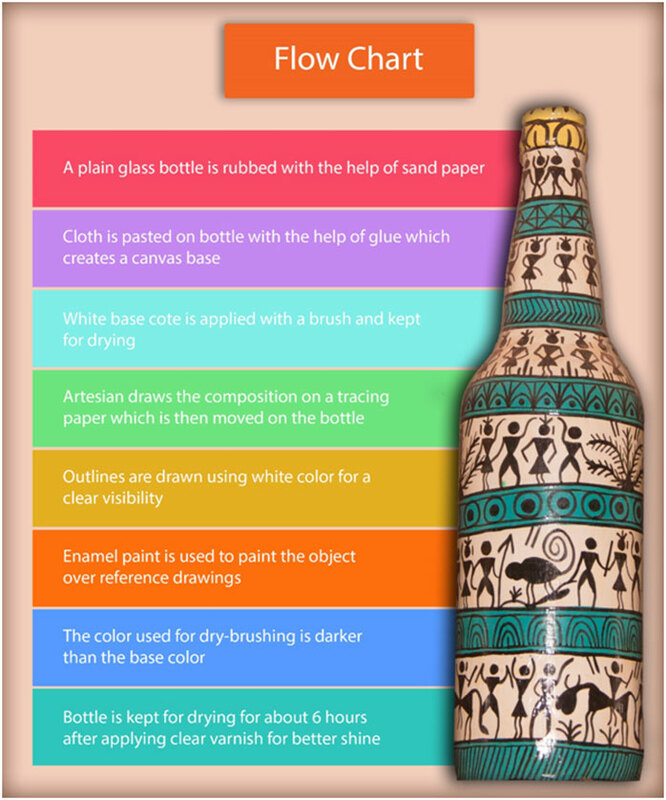 Drawing is made on the tracing paper where all the elements are added, artesian traces the design on bottle using carbon sheet. Outlines are drawn using the white color for a clear visibility. 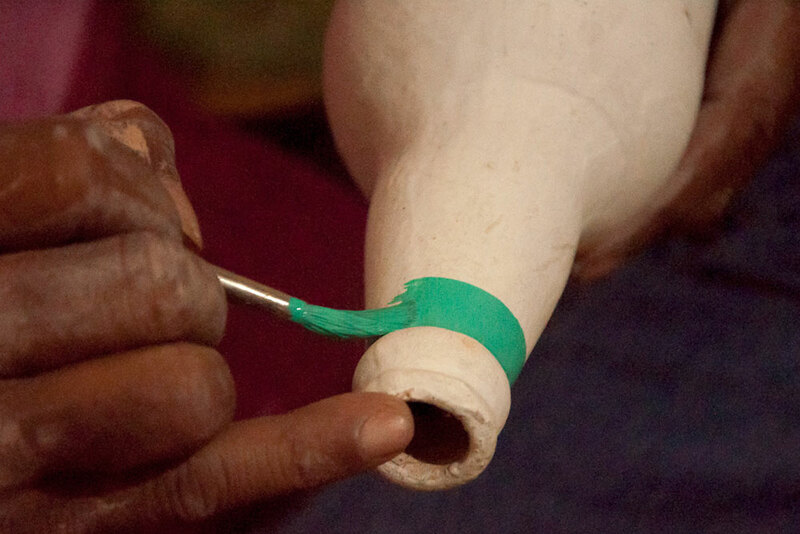 After the object is dried, artisans paint the object over reference drawings. The paints that’s used are mainly enamel based and are applied with the help of either flat or round brushes. Shading and highlighting give a brilliant light effect. While shading is used to detail shadows, highlighting emphasizes the brighter areas. Blending is also an advanced miniature Art painting technique that is used to merge colors in one area with surrounding areas, to give the impression of a smooth and natural movement. 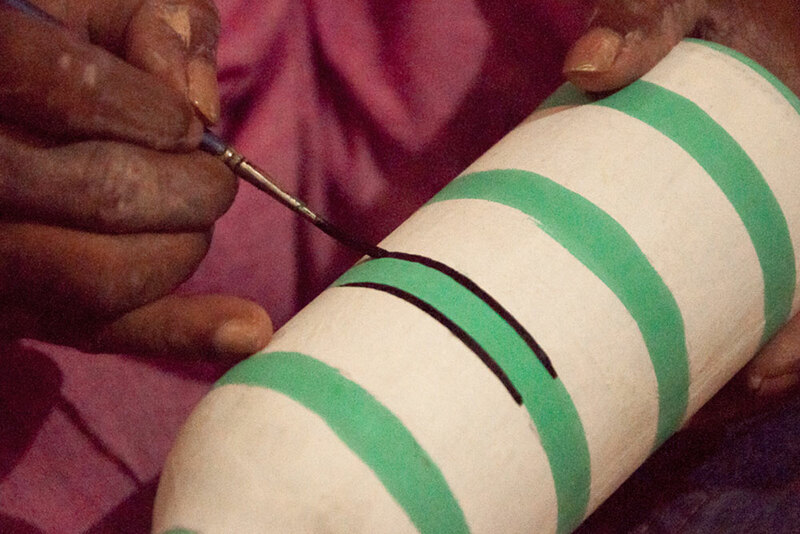 Outlining technique is used to separate various parts of the painting. Dry-brushing is a miniature Art painting technique that involves emphasizing certain parts of the painting with a brush that has barely any color on it. The color used for dry-brushing is lighter than the base color. 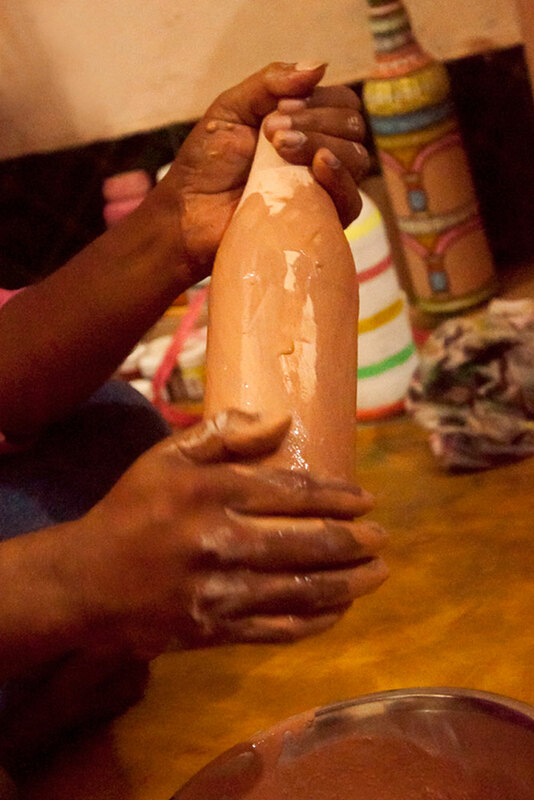 Once painting is completed, the bottle is kept for drying for about 6 hours after applying clear varnish for better shine. Varnish also helps in protecting the paint from damage and peal.